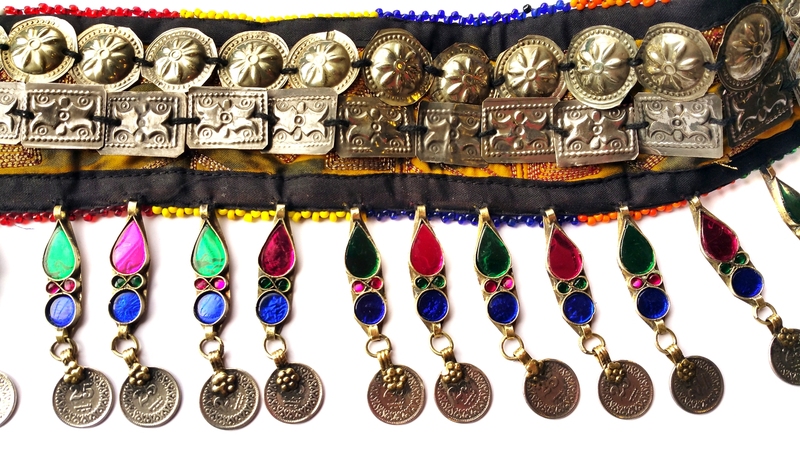 Click the button below to add the Egyptian Bellydance Performance Belt Afghan Kuchi Jewelry to your wish list. This is an Afghan belt, made of German silver and colored glass gems. It is traced back to Afghanistan Kuchi tribal culture. Very beautiful tribal fashion metal work is also visible, which shows the best metal crafting techniques of Kuchi artisans. 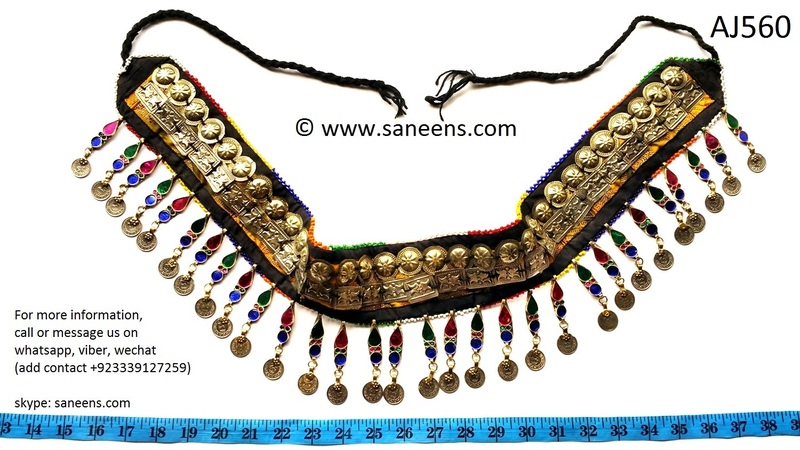 Traditionally, such tribal jewelry belts are used on special events like wedding dances. This product is supposed best pie for belly art dancers. Especially, the belly dancers who perform at stages in a high crowded cabaret concerts.